Check out Tobi's High School Sweetheart Vintage Corduroy Skirt Can't get enough of corduroy? The obsession is even more real with Honey Punch High School Sweetheart Black Vintage Corduroy Skirt, featuring a high waisted construction, belt with eyelets, and front zipper. Add some edge to your looks with this corduroy mini skirt, and match it with the High School Sweetheart Vintage Corduroy Jacket. Can't get enough of corduroy? 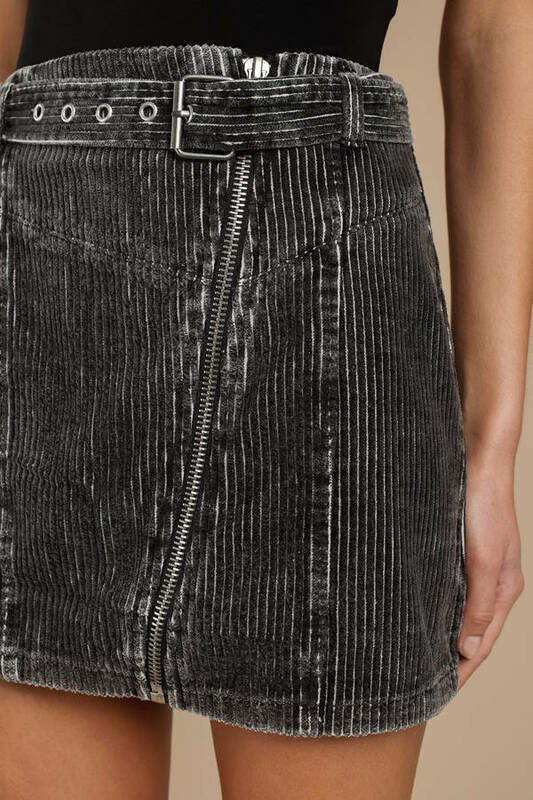 The obsession is even more real with Honey Punch High School Sweetheart Black Vintage Corduroy Skirt, featuring a high waisted construction, belt with eyelets, and front zipper. Add some edge to your looks with this corduroy mini skirt, and match it with the High School Sweetheart Vintage Corduroy Jacket.